We’ve recently visited Rome for the first time. 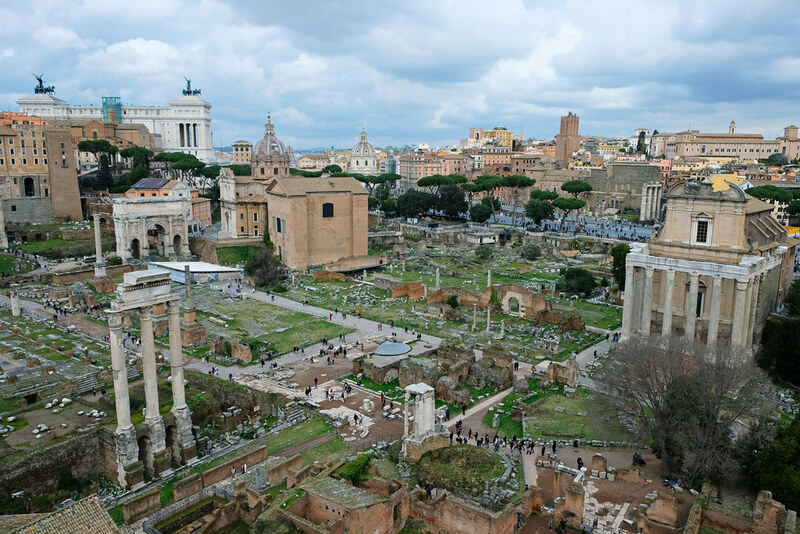 Though we chose what we thought to be the low-season for tourists (February), we had to face the fact that a world-famous city like Rome doesn’t really have a low-season. 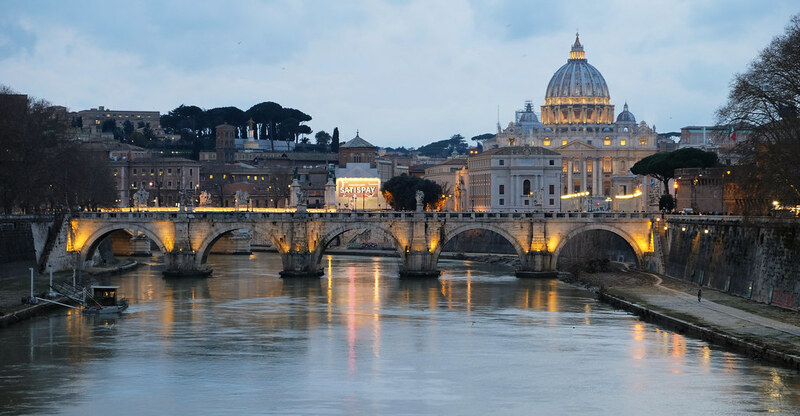 So we decided that there are enough guides about what to see in Rome (and you might even know most of them simply because of their fame), but we might be of some use if we share how we skipped the lines while visiting all those famous attractions. So here we go, let’s start with ancient Rome. Whether you like it or not, it’s very well worth getting up early to enjoy these famous attractions. Not just because queues are the shortest before/around the opening time, but also because once you get in, you can walk around without being surrounded by the crowd. Visiting late in the day could also be an option, but make sure you check closing times, they depend on the season. On the other hand, it’s almost impossible to avoid standing in line at least for a short time. Metal detectors are used to check you and your smaller bags at all entrances, and it takes time. However, if you have a pre-booked entry time, you can usually go right to the security check without waiting. Buy your ticket with a fixed entry time online and well in advance – you can do it here! In February we bought it a couple of days before our visit. 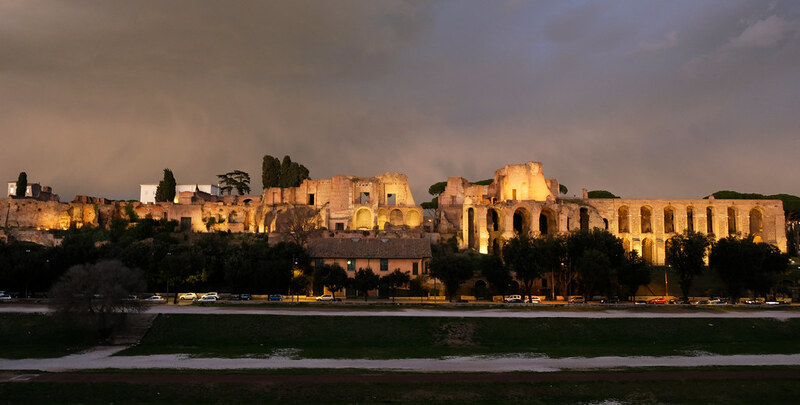 But as Rome gets busier for spring and summer, you better do it even a month or two in advance to make sure you still find available time slots for the day of your visit. If you arrive without a pre-booked ticket, you need to stand in line twice: for the ticket office and for the entrance. Since the Colosseum can accommodate up to 3000 people at once, there can be delays even if you have a pre-booked ticket. That’s why it’s worth booking your ticket for early hours. 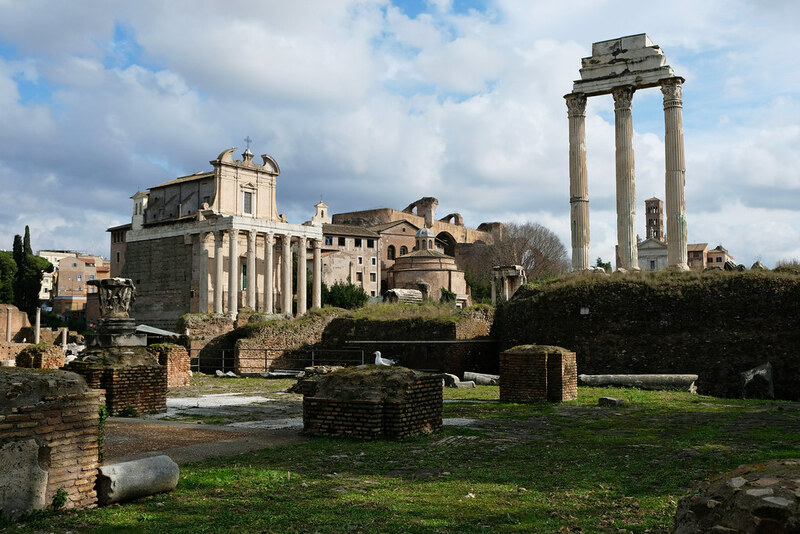 If you visit the Roman Forum and Palatine Hill, as well, be aware that there’s a separate entrance for accessing them. 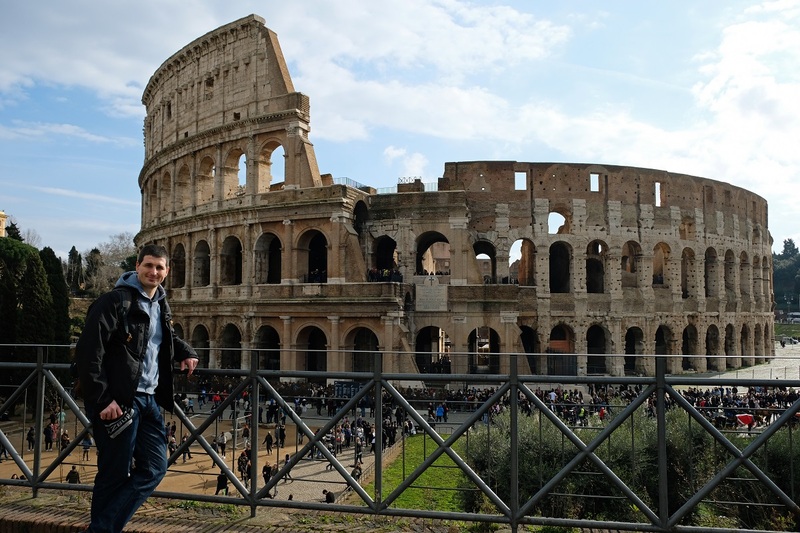 We recommend starting with the Colosseum and then walk to the other entrance to the Forum and Palatine Hill. 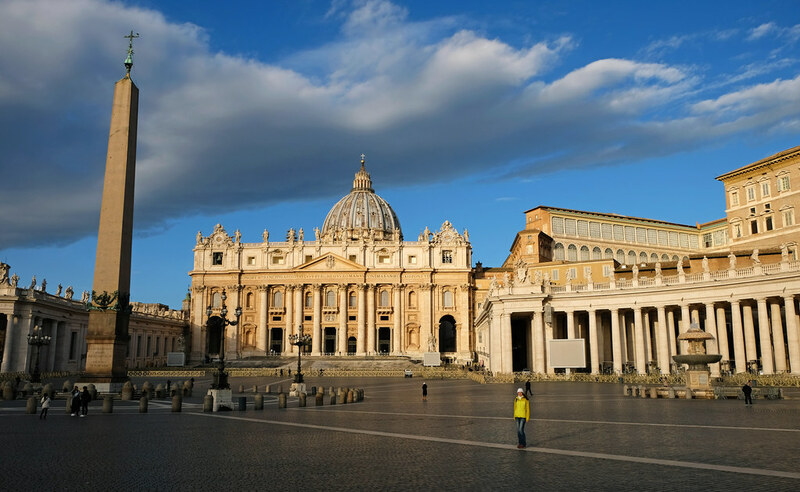 The other world-famous attraction is the tiny independent state within the city of Rome: Vatican City. 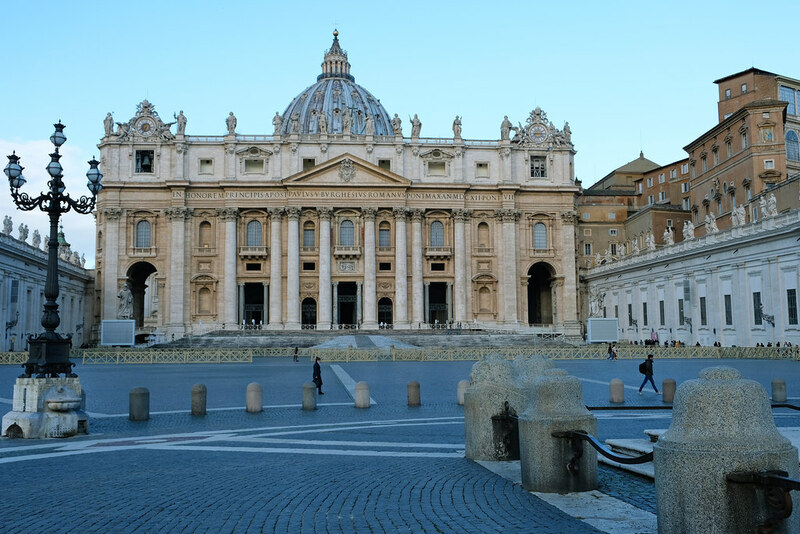 Its St. Peter’s Basilica is the largest church in the world, the heart of the Catholic Church and the burial place of many popes. Of course, it’s one of the most visited churches in the world, too. There are a great variety of tours, we booked this one on Viator and were quite happy with it. Admission was quick and smooth, and the audio guide was very detailed. There’s a dedicated meeting point where we found our tour operators (wearing blue jackets), and they accompanied us to the security gates. We got the audio guide inside the Basilica. If you don’t want to book a tour though, we recommend arriving before the opening hours, because lines get ridiculously long later in the day. Being one of the top 5 most visited art museums in the world, it’s worth buying an online ticket to the Vatican Museums, too. The online tickets can be bought for a fixed entry time (half an hour slots), and that means you can skip the line and go right to the security check in your time slot. It’s really sweet since the lines are incredibly long even before the museum opens. This is the official website of the Vatican Museums where you can buy your tickets. When we tried to book ours in February, we were too late and there were no available time slots for the day that fit us. In this case, not all is lost. Other tour operators offer skip-the-line tickets, too, and after a bit of research we booked this tour. It provided a simple online ticket with a fixed entry, and that was all we needed. The highlight of our visit in the Vatican Museums was definitely the Sistine Chapel. Whatever ticket you buy, make sure it’s included, because it’s stunning. Any questions left? 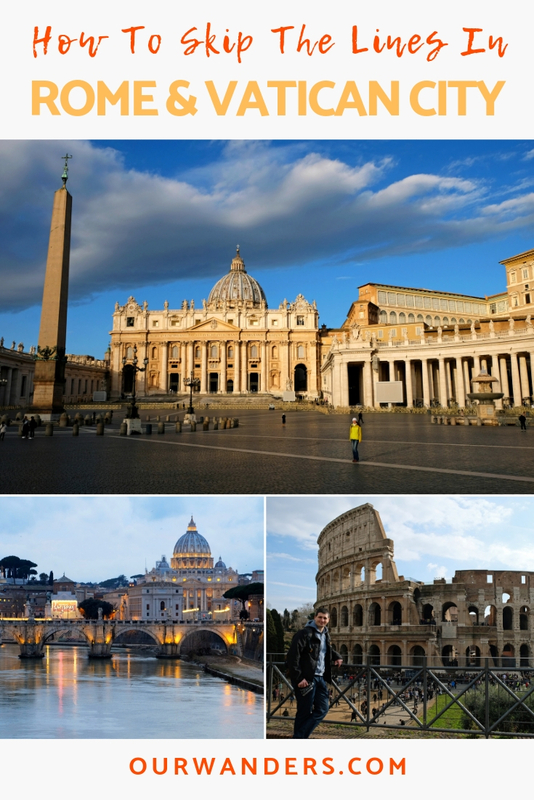 Have you ever visited Rome? How did you like it?